A photo album of Pope John Paul II visit to the Monastery-Sanctuary of St Gemma in Lucca, Italy for the 90th anniversary of the Stigmata given to Gemma. 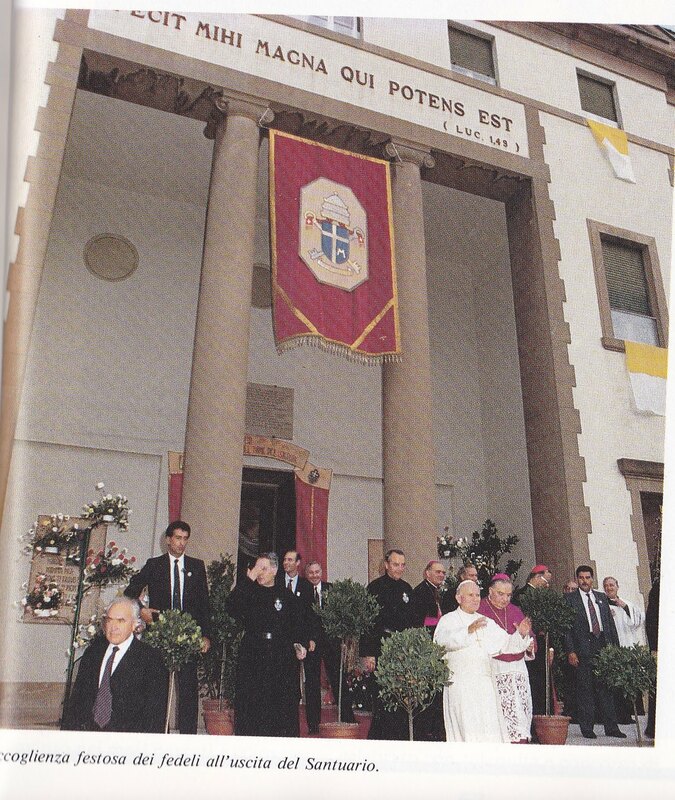 On September 23, 1989 Pope John Paul II visited the Monastery-Sanctuary of St Gemma in Lucca, Italy for the 90th anniversary of the Stigmata given to Gemma. It was truly a meeting of two Saints. 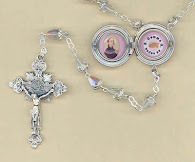 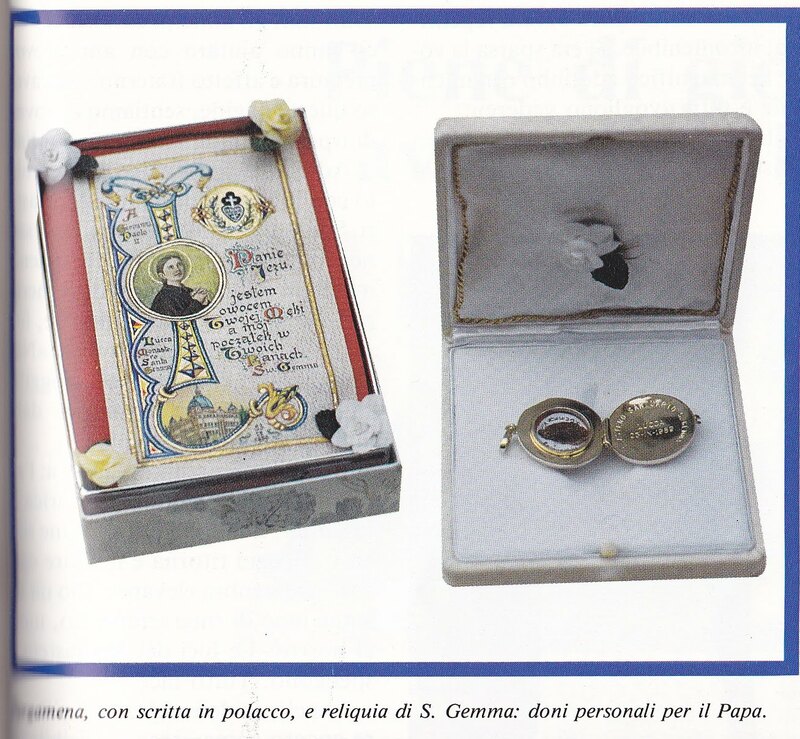 Gemma recieved the holy stigmata on June 8th, 1899 -See here for more info on the stigmata given to Gemma. 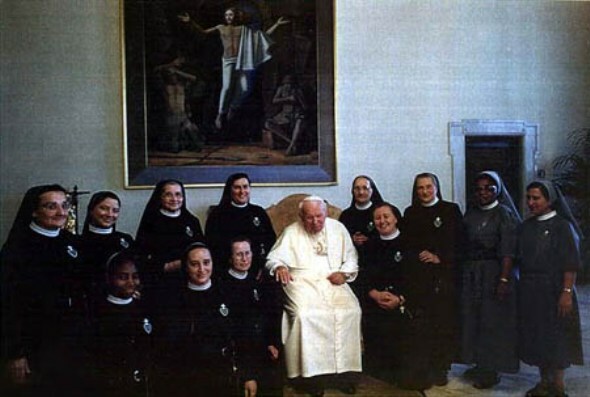 On this memorable day, the Holy Father met with Mother Giovanna and the cloistered Passionist nuns at the Monastery and encouraged them to continue in their mission of sacrifice and prayers for the Church. 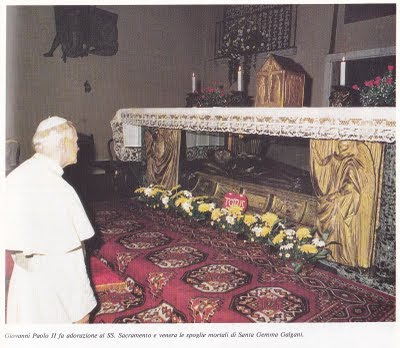 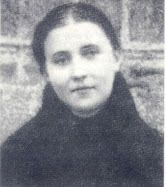 He also spent some time in prayer and adoration of the Blessed Sacrament, which was placed atop the main altar, above the holy remains of St Gemma, and afterwards he addressed all in attendence and gave a homily encouraging those present to imitate St Gemma in her love and complete devotion to God. 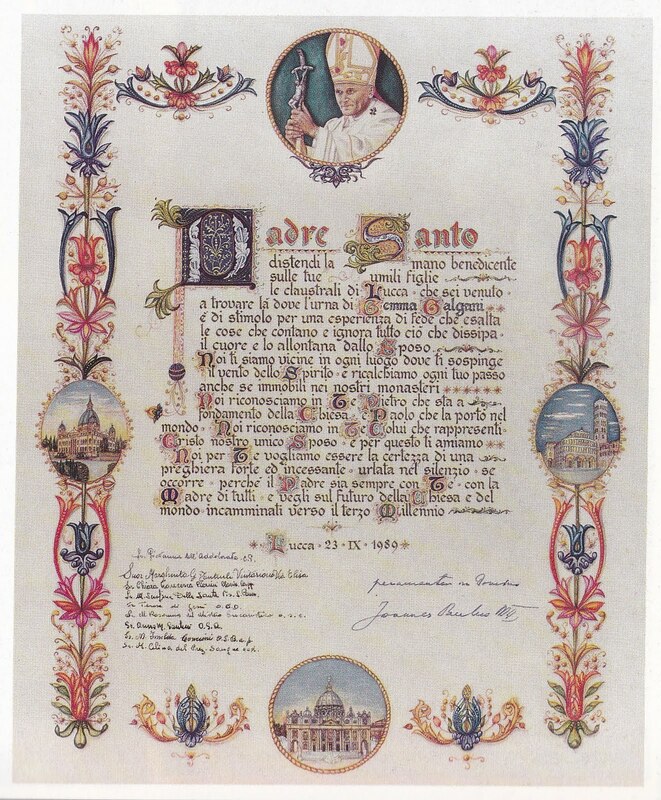 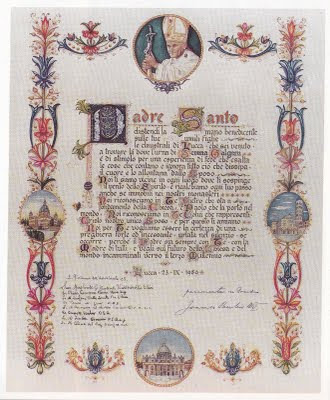 The Holy Father then presented the Nuns with a parchment containing his special blessing upon their Community. For their part, the Passionist Nuns presented the Holy Father with a beautiful relic of St Gemma, along with an extraordinary "pergamena", which is a handmade parchment made from skins. 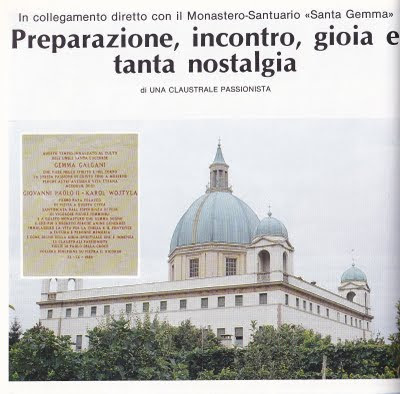 As a remeberance of this special day a plaque was made and placed inside the Monastery Church of St Gemma to commemerate this extraordinary occasion. 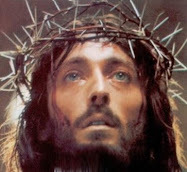 He who lives and reigns with You, in the unity of the Holy Spirit, for ever and ever. 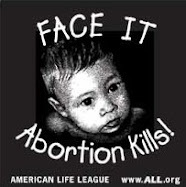 Amen. " 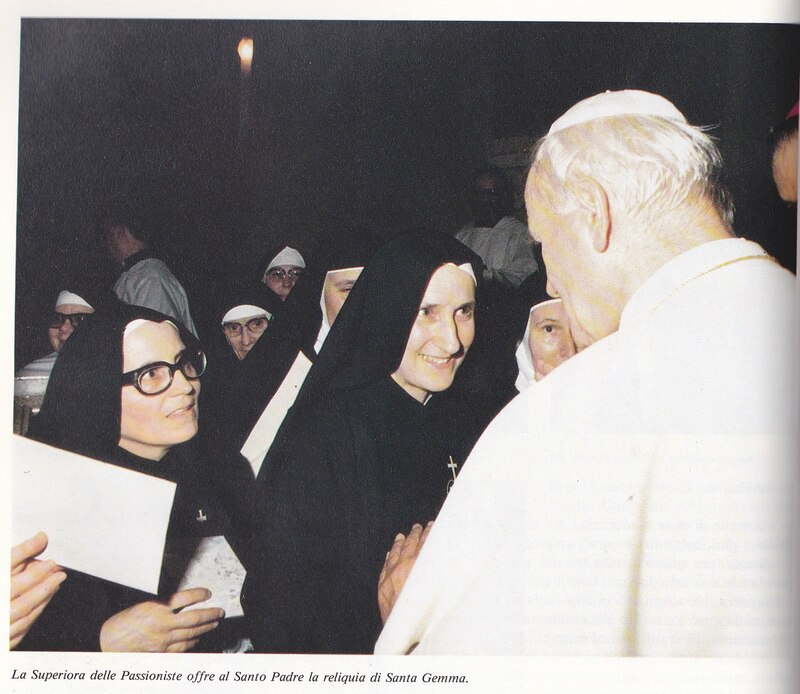 "... Then my God added that in time He would make me a saint (I will say no more because it is impossible what God said would happen to me)”.